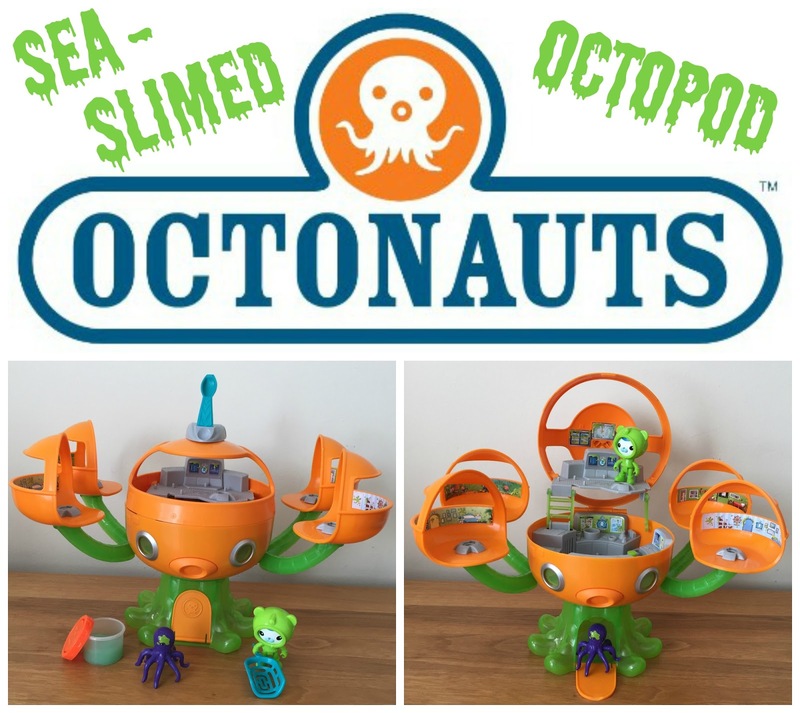 Check out the all new Sea-Slimed Octopod Playset! when you have a Octonauts mad son (followed slowly by his little sister) in the house! We where lucky enough to try it out for ourselves just how cool the new Sea-Slimed Octopod is and let you know the results! 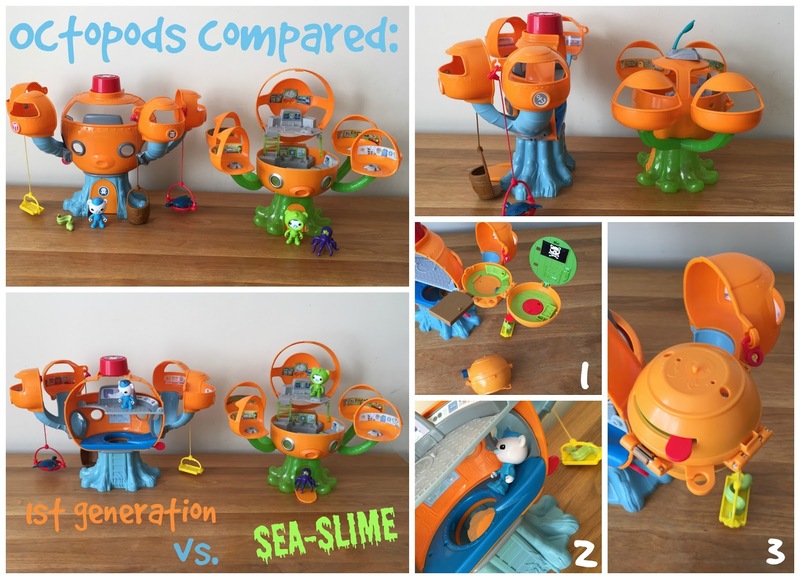 It’s slime time with this Octonauts Octopod Slime Playset! The Octonauts find themselves in a sticky situation when the Octopod becomes mysteriously covered in slime! Press the Octopod’s mouth to see its translucent tentacles light up and glow a cool slime-green color and to hear phrases from the crew. Make a quick exit out of the Octopod using the Octo-hatch in the Launch Bay or search the Octopod for the missing octopus—could he be hiding in Barnacles’ or Kwazii’s quarters or maybe he’s escaped to the Garden Pod? 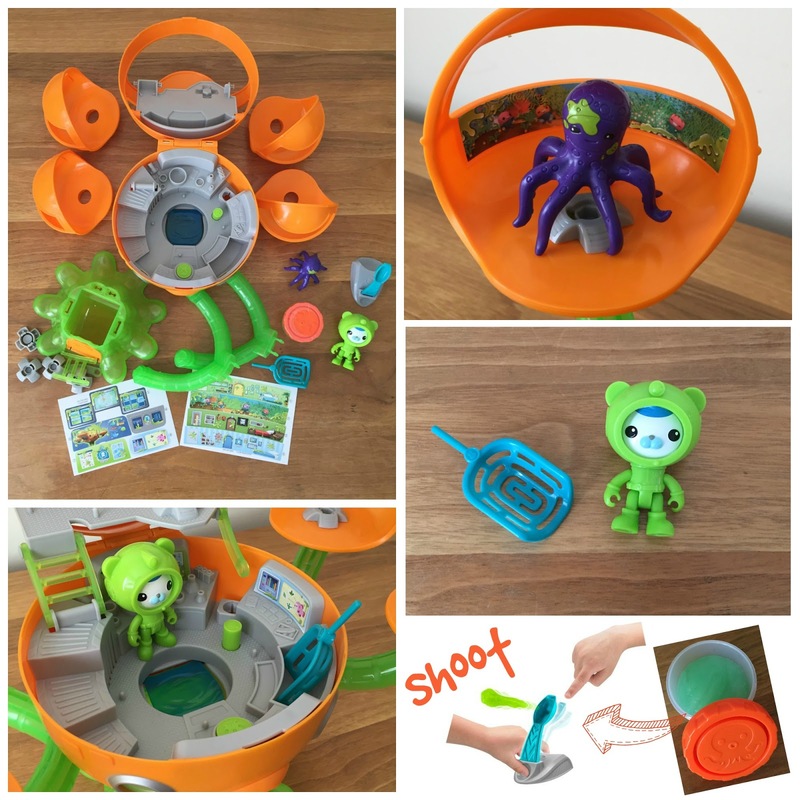 The Sea-Slimed Octopod Playset comes with Barnacles in his slime-green Octo-suit, a rescue net, a slimed octopus, a slime catapult and a container of extra gooey slime! on the catapult to shoot some slime! 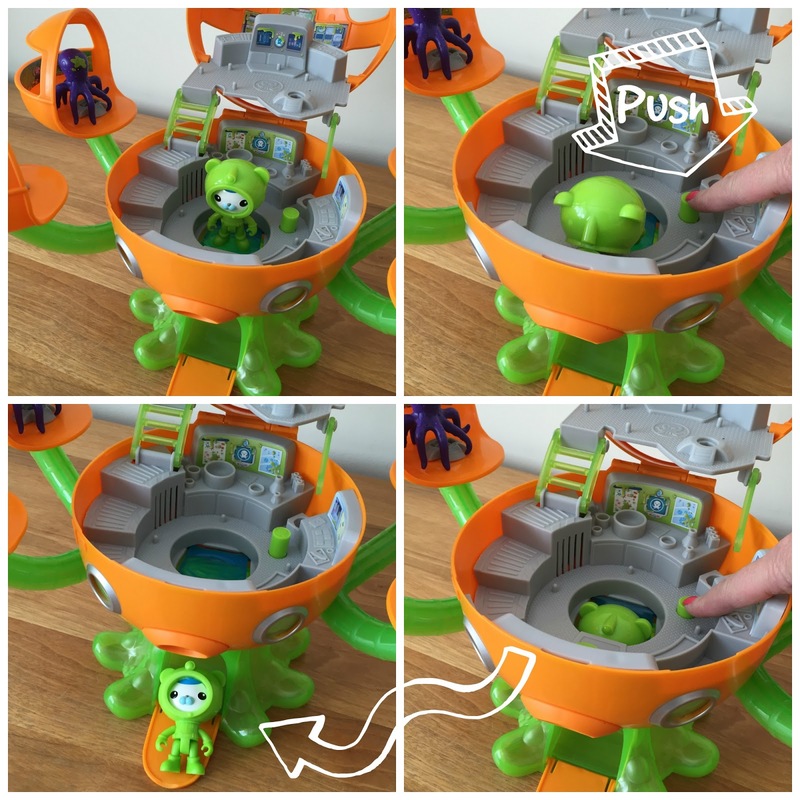 If you stand Captain Barnacles on the slimy OctoHatch and push the green button next to it he will slide down the legs ready to head out of the Octopod to get quickly onto his next rescue mission! The coolest feature has to be when pushing the pod’s mouth because it will light up and glow a pretty fantastic slimy bright green colour! And all 4 Pods rotated 360 degrees which is super! open or close up and attach to the arms of the Octopod. both have similar cool features i do prefer the new one! This brand new Sea-Slimed Octopod will make the perfect Christmas Present for any Octonauts Fan and you can get the Slimed Octopod for you just £39.99 from your local Smyths Toy Superstore. but all thoughts and opinions are mine. Finn’s DinoTASTIC 6th Birthday Party!